This is a unique, original show, performed by an extremely talented cast of 10. In the ever-competitive ‘Queen’ market there is usually a frontman with a band – this show takes a different take on the music and explores the intricate harmonies and sounds that Queen were known for. Queen of Rock is the ONLY production to create a live 6 part tiered harmony structure, coupled with powerful choreography. 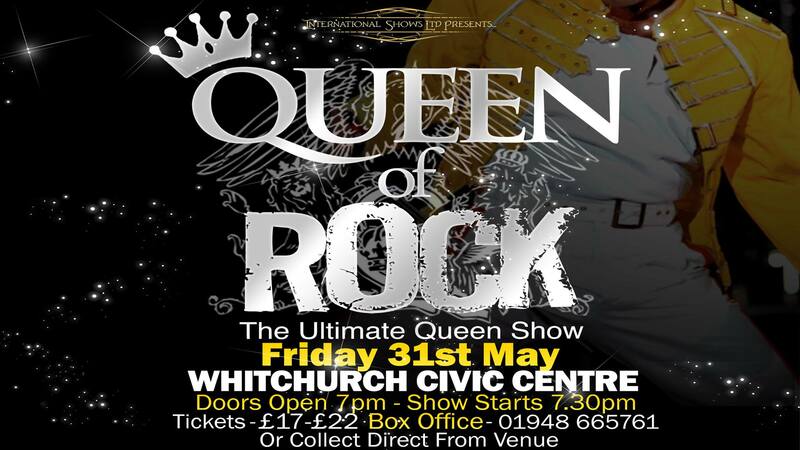 With hits such as ‘We Are The Champions’, ‘We Will Rock You’ and ‘Who Wants To Live Forever’, this show is the pinnacle of production shows and is fast becoming many Queen enthusiasts ‘go-to’ show! The Live Production has been produced and commissioned by International Show Ltd, and promises to give fans a truly unforgettable experience.